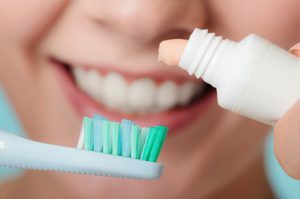 When talking about brushing, it is not just about scrubbing our teeth with a toothbrush. It is important to not only be careful with how hard you brush your teeth, but also that you are getting through on all the necessary places. This is why for today’s article we will be talking about how to do it right. We have asked Los Algodones dentists about the different aspects of brushing. So for this article we will be talking about technique, tools, and tips! We have been brushing and flossing our teeth for quite a while now. It all started with the welfare of our teeth as to keep them from falling down as there was hardly any dentistry solutions back then. Nowadays, more and more options are available to not only keep our teeth in pristine conditions, but also to fix them up. For this it is important to know the basics of what you can do and what not to do to keep them in their best shape. Now, is there really a technique or specific way to brush our pearly whites? Our dentists in Los Algodones talk more about performing the basics in a thorough manner rather than a technique. For this it is important to go through some steps to ensure you are getting the most out of your brushing experience. Make sure to go through every tooth. This ensures that we go through every surface of them. This also includes chewing surfaces on our back teeth where food usually gets stuck. Brush gently against your gums. It is often recommended to tilt your brush about 45° and brush against your gums. This clearing the plaque that forms and is otherwise left there to turn into tartar. Don’t forget to scrub tongue and towards the cheeks. This is probably one of the most underrated items that you will ever see. Food and germs are usually left trapped in the tongue and they can be a source of bad breath. So to add to the basics and tips aspect, you should scrub your tongue well to help achieve a better oral care. 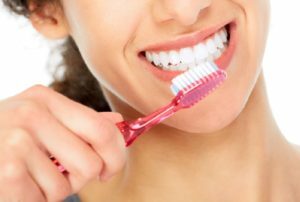 Another good way to improve the basics of your brushing ritual is to know about your toothbrush. There are many people that stick to the same one for too long, which is inefficient in the long run. First and foremost we have the life of a toothbrush which should last for about three or four months. There are many hygienic reasons about this as if you, or other people, have been sick, it is very likely that those germs will stay there and be passed on to the other toothbrushes. Another reason to change the brush is because the bristles get worn down. Other than properly brushing all the places in your mouth and having a good toothbrush, there are some other tips to take into account. Brush for two minutes per session, twice a day. Keep this habit up as it is very important at keeping a healthy smile. Use a soft-bristled toothbrush. These are easy on your teeth and help you keeping your tooth enamel unharmed. Both hard-bristled toothbrushes and overbrushing can wear down the enamel significantly. Daily flossing. This helps cleaning between the teeth and around the gums, where the brush has a hard time getting to. No Replies to "Brushing Basics: Getting It Right"